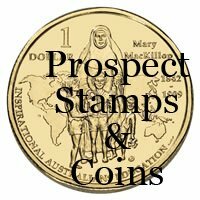 The Royal Australian Mint has released a new series in One Dollar coins called "Inspirational Australians". The series of one dollar coins recognises and celebrates individual achievements, and commemorates unique Australians who have made an extraordinary contribution to our society. 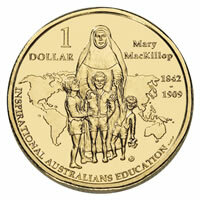 The first coin in this series features Mary MacKillop. Mary MacKillop was a nun and teacher and founded the sisters of St. Joseph, she also set up a school for underprivileged children. The one dollar coin is packaged on a card with a picture of Mary.